Basic’s softball team pounded out 14 hits in a 9-1 win at Sierra Vista on Friday. Eight Basic starters had at least one hit, led by leadoff batter Sanoe Helenihi, who was 3-for-5. 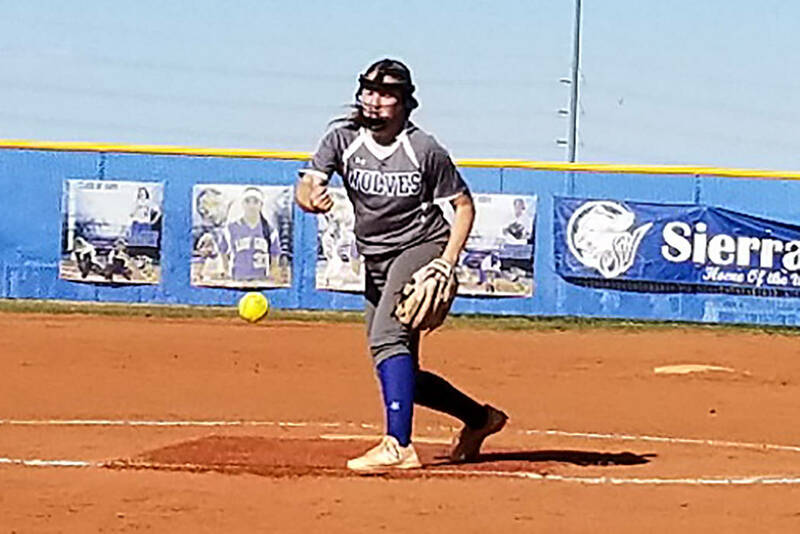 Basic softball coach Lauren Taylor thought she might have cost her team runs by being too conservative coaching base runners in the third inning Friday. 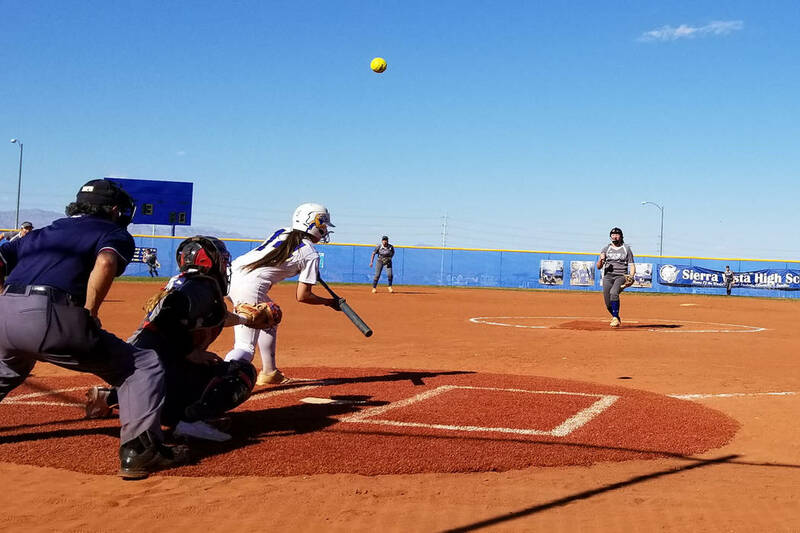 It turned out that the Wolves had more than enough offense, as they pounded out 14 hits in a 9-1 road win over Sierra Vista. Sixth-ranked Basic (11-5, 5-0 Desert League) had four hits in the third inning, including two that went off the center-field fence. But both of those ended up as singles, and Basic scored only one run to extend its lead to 2-0. Mikayla Berg drove a two-run double off the fence in center in the fourth inning, and Shelby Basso led off the fifth inning with a solo homer to dead center to key a four-run inning. Eight Basic starters had at least one hit, led by leadoff batter Sanoe Helenihi, who was 3-for-5 with a double and four runs. Basso, Madison Berg and Lauren Koshak each went 2-for-4. 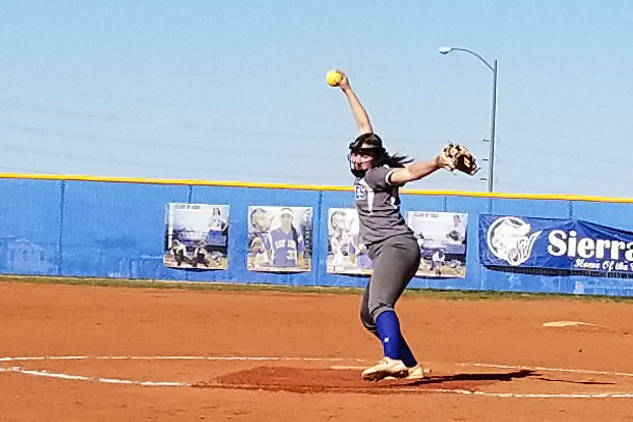 Taylor said her hitters were dialed in after noticing that Sierra Vista gave fourth-ranked Coronado a tough game Wednesday in a 4-2 loss. Basso pitched a six-hitter, striking out eight and walking one. Aaliyah Medina was 2-for-3 with a double, a triple and an RBI for the eighth-ranked Mountain Lions (4-5, 3-2). Contact prep sports editor Damon Seiters at dseiters@reviewjournal.com or 702-380-4597. Follow @DamonSeiters on Twitter.